More than 80 percent of people diagnosed with adult-onset ADHD probably don’t have ADHD at all. Those who actually have the disorder likely had it as children but were undiagnosed. “The not ion of a widespread adult-onset ADHD epidemic falls apart when you have access to detailed patient clinical records and history,” said Sibley, an associate professor of psychiatry & behavioral health at FIU’s Center for Children and Families and Herbert Wertheim College of Medicine. “We found a number of people who looked like they had adult-onset ADHD, but when we looked closely, adult-onset symptoms were traced back to childhood or were better explained by other problems, like the cognitive effects of heavy marijuana use, psychological trauma, or depressive symptoms that affect concentration,” Sibley said. Sibley and colleagues evaluated 239 participants every two years, starting at age 10 and ending when the participants were 25. The researchers used parent, teacher, and self-reports of ADHD symptoms, impairment, substance use, and other mental disorders. They looked at the context of the symptoms and the timing. 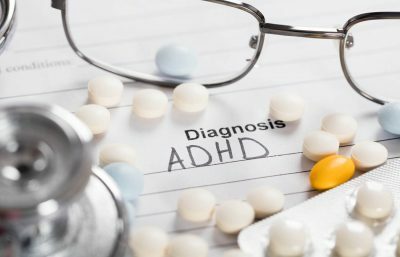 Sibley said false positive late-onset ADHD cases are common without careful assessment and clinicians should carefully assess impairment, psychiatric history, and substance use before treating potential perceived cases of adult-onset ADHD. Additional explanations for late-onset ADHD-like symptoms could include traumatic brain injury, environmental stressors, medication side effects, or physical illnesses. Sibley says more research needs to be done.